Antibody-drug conjugates are an elegant approach to cancer treatment that couples the specificity of monoclonal antibodies to the cytotoxicity of classic chemotherapy agents, permitting, at least in theory, increased activity and reduced toxicity. In breast cancer, the early success of trastuzumab-emtansine (T-DM1) in the HER2-positive metastatic setting led to great hopes, later dashed by results in the early setting (KRISTINE trial) and in combination with pertuzumab (MARIANNE trial). Parallel to this, development of ADCs in breast cancer has suffered other setbacks, including the recent failure of other agents (MM-302) as well as the suspension of a few programs (XMT-1522, ADCT-502) with the overall effect of dampening the impetus of this concept and halting/delaying the progress of drugs associated with it, particularly when immunotherapy is at the center of so many efforts. Numerous antibody-drug conjugates remain, however, in development, and could prove successful. Critically, ADCs could permit the introduction of novel concepts such as the expansion of potent anti-HER2 therapy to HER2-low breast cancer, treatment beyond resistance to T-DM1, and synergy in combination with immune checkpoint blockade. In the early setting, the ATEMPT trial may show that T-DM1 reduces toxicity while maintaining good outcomes for lower risk HER2+ patients. ADCs based on bispecific antibodies are also in development. Finally, breakthroughs are occurring in the orphan triple-negative breast cancer subtype with agents targeting surface proteins. The recent results of Sacituzumab govitecan suggest substantial activity in heavily pre-treated patients and underscore the enduring relevance of antibody drug conjugates as a path towards better outcomes. Noam Pondé has received travel support from Roche/Genentech, Janssen-Cilag, and Mundipharma, as well as speaker’s fees from Mundipharma. The institute he works for has received research funding from AstraZeneca, Lilly, MSD, Novartis, Pfizer, Roche-Genentech, Synthon, Radius, and Servier. Philippe Aftimos has received travel support from Roche, MSD, and Amgen; consulting fees from Synthon, Boehringer/Ingleheim, and Macrogenics; and speaker Fees from Amgen and Novartis. The institute he works for has received research funding from AstraZeneca, Lilly, MSD, Novartis, Pfizer, Roche-Genentech, Synthon, Radius, and Servier. Martine Piccart is a board member of Radius. She has received honoraria as a consultant from AstraZeneca, Lilly, MSD, Novartis, Odonate, Pfizer, Roche-Genentech, Camel-IDS, Crescendo Biologics, Periphagen, Huya, Debiopharm, PharmaMar, G1 Therapeutics, Menarini, Seattle Genetics, Immunomedics, and Oncolytics. Her institute has received research funding from AstraZeneca, Lilly, MSD, Novartis, Pfizer, Roche-Genentech, Synthon, Radius, and Servier. Cancer of the Breast (Female) - SEER Stat Fact Sheets [Internet]. [cited 2016 Oct 24]. Available from: http://seer.cancer.gov/statfacts/html/breast.html. Accessed 15 Sept 2018.
von Minckwitz G, Huang C-S, Mano MS, Loibl S, Mamounas EP, Untch M, et al. Trastuzumab emtansine for residual invasive HER2-positive breast cancer. N Engl J Med [Internet]. 2018 5 [cited 2018 Dec 10]; Available from: http://www.nejm.org/doi/10.1056/NEJMoa1814017. Accessed 15 Sept 2018. Hurvitz SA, Martin M, Symmans WF, Jung KH, Huang C-S, Thompson AM, et al. Neoadjuvant trastuzumab, pertuzumab, and chemotherapy versus trastuzumab emtansine plus pertuzumab in patients with HER2-positive breast cancer (KRISTINE): a randomised, open-label, multicentre, phase 3 trial. Lancet Oncol [Internet]. 2017 Nov [cited 2017 Nov 30]; Available from: http://linkinghub.elsevier.com/retrieve/pii/S1470204517307167. Accessed 15 Sept 2018. Vici P, Pizzuti L, Michelotti A, Sperduti I, Natoli C, Mentuccia L, et al. A retrospective multicentric observational study of trastuzumab emtansine in HER2 positive metastatic breast cancer: a real-world experience. Oncotarget. 2017 22 [cited 2018 Jul 18];8(34). Available from: http://www.oncotarget.com/fulltext/18176. Accessed 15 Sept 2018. Abstract P6-17-06: Characterization, monitoring and management of interstitial lung disease in patients with metastatic breast cancer: analysis of data available from multiple studies of DS-8201a, a HER2-targeted antibody drug conjugate with a topoisomer… | Cancer Res [Internet]. [cited 2019 Feb 26]. 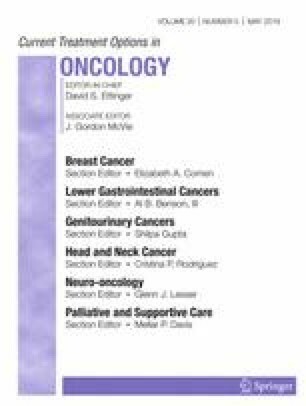 Available from: http://cancerres.aacrjournals.org/content/79/4_Supplement/P6-17-06. Accessed 15 Sept 2018. Miller K, Cortes J, Hurvitz SA, Krop IE, Tripathy D, Verma S, et al. HERMIONE: a randomized phase 2 trial of MM-302 plus trastuzumab versus chemotherapy of physician’s choice plus trastuzumab in patients with previously treated, anthracycline-naïve, HER2-positive, locally advanced/metastatic breast cancer. BMC Cancer [Internet]. 2016 Dec [cited 2017 Dec 5];16(1). Available from: http://bmccancer.biomedcentral.com/articles/10.1186/s12885-016-2385-z. Accessed 15 Sept 2018. Goldenberg DM, Stein R, Sharkey RM. The emergence of trophoblast cell-surface antigen 2 (TROP-2) as a novel cancer target. Oncotarget [Internet]. 2018 Jun 22 [cited 2018 Jul 19];9(48). Available from: http://www.oncotarget.com/fulltext/25615. Accessed 15 Sept 2018. Loi S, Giobbie-Hurder A, Gombos A, Bachelot T, Hui R, Curigliano G, et al. Pembrolizumab plus trastuzumab in trastuzumab-resistant, advanced, HER2-positive breast cancer (PANACEA): a single-arm, multicentre, phase 1b–2 trial. Lancet Oncol [Internet]. 2019 Feb [cited 2019 Feb 26]; Available from: https://linkinghub.elsevier.com/retrieve/pii/S147020451830812X. Accessed 15 Sept 2018. Martin K, Schreiner J, Zippelius A. Modulation of APC function and anti-tumor immunity by anti-cancer drugs. Front Immunol [Internet]. 2015 Sep 29 [cited 2018 Aug 1];6. Available from: http://journal.frontiersin.org/Article/10.3389/fimmu.2015.00501/abstract. Accessed 15 Sept 2018.